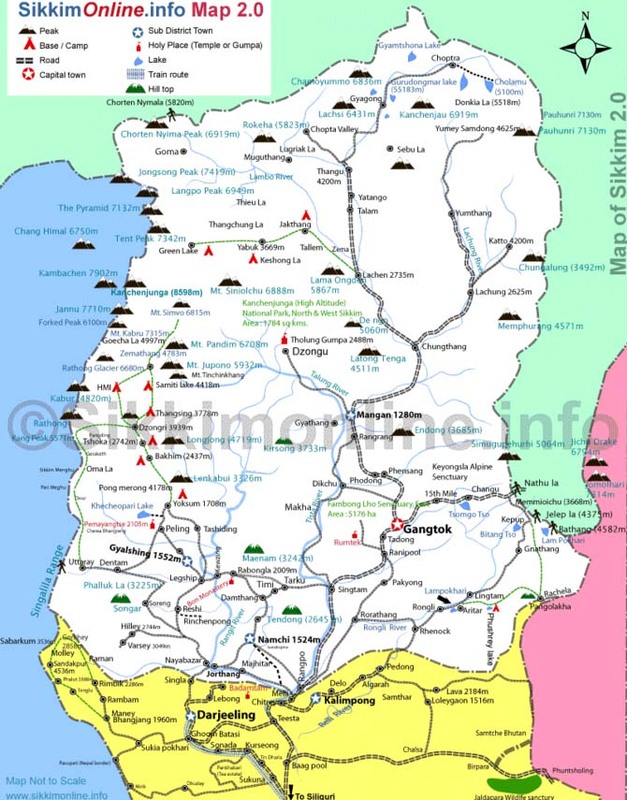 Sikkim is a state, and former country, in the north east of India that still seems like a separate entity. It even has its own border crossing where foreigners must present a special permit to continue. 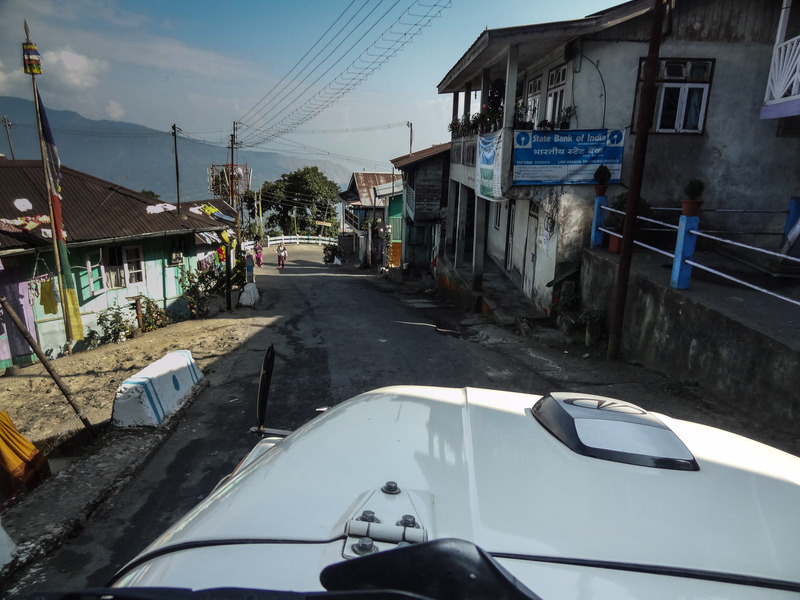 I traveled from Darjeeling to Gantok on some very narrow and frightening roads in a crowded ‘jeep’ for about five hours. The scenery was beautiful although the main road didn’t look like much compared with western roads. There was evidence of risk-taking on the part of of some drivers. This is what is called a ‘jeep’ here but they are made by Tata or Mitsubishi or Toyota. Fully loaded it can carry sixteen inside and another few on the top. 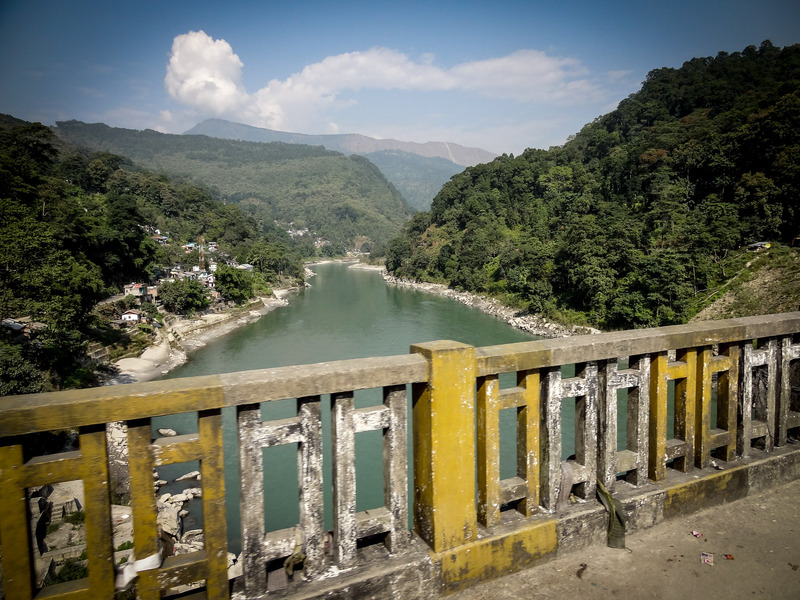 Kalimpong is the capital of Sikkim and I spent four days there. I was lucky to have a brief clearing in the fog to see Kanchenjunga from above the town. 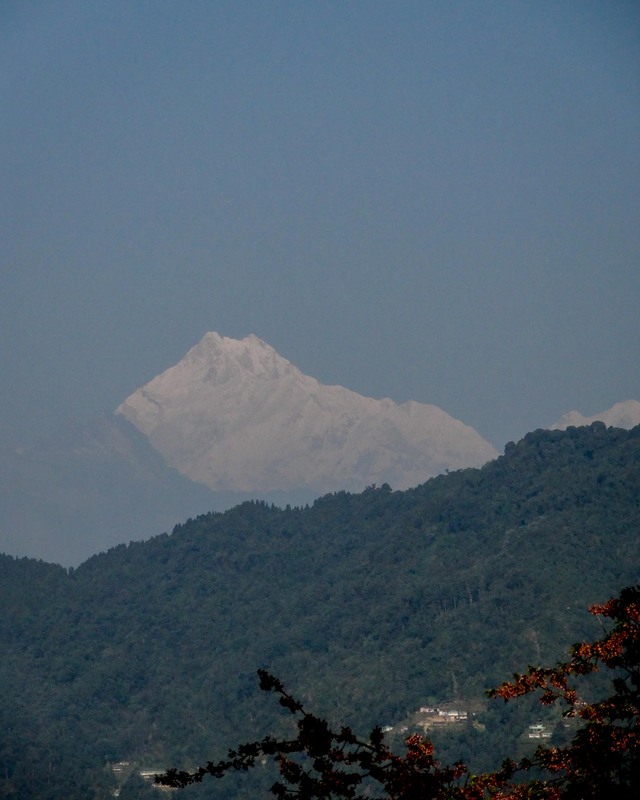 Kanchenjunga – the third highest mountain in the world. Enchey monastery just a few kilometers north of Gantok is well worth a visit. Is is often visited by His Holiness the Dalai Lama and is a site of great importance to Buddhists. 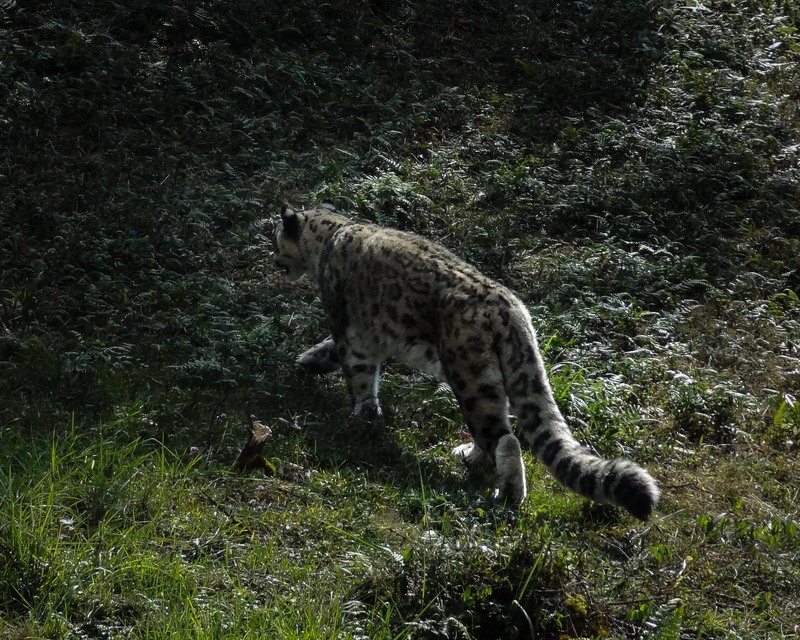 At the local zoo there are many native and sometimes elusive Himalayan species including this snow leopard. As an aside, you may wish to read Peter Matthiessen’s The Snow Leopard if you have a chance. 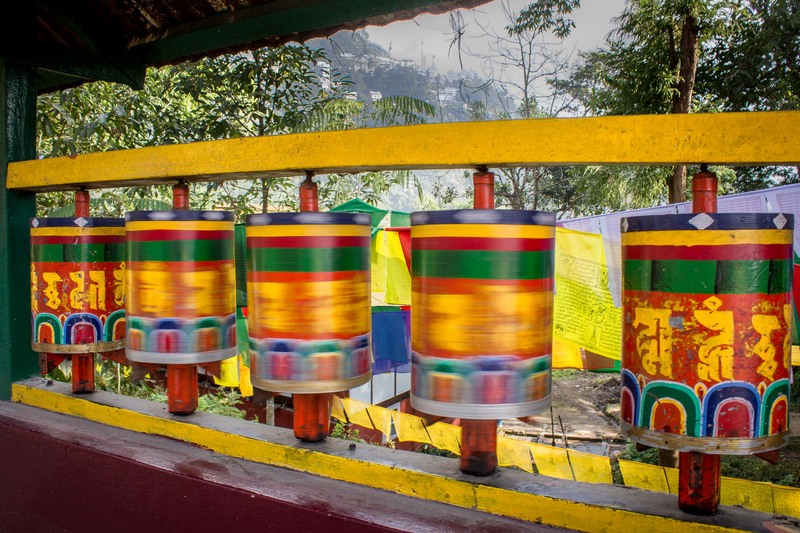 Gantok hosts numerous Buddhist monasteries and is a jumping off point for treks in the mountains. 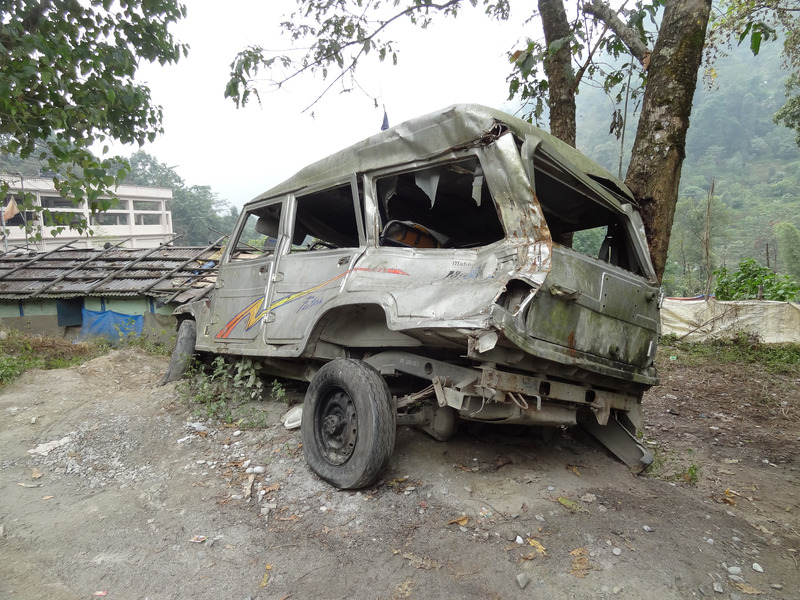 To give you an idea of its isolation and the condition of the roads, It took me five and a half hours in a taxi to go from Gantok to New Jalpaiguri (the railway station) just 120 Km distant. 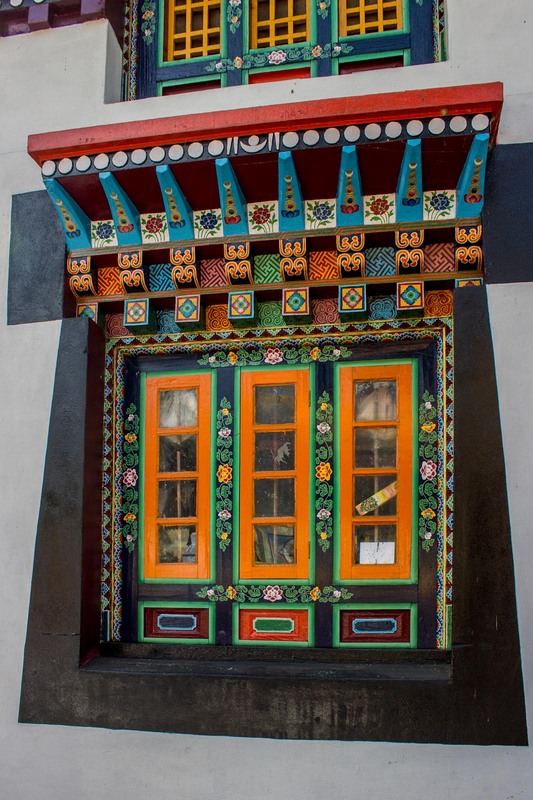 This entry was posted in Color, India, Sikkim. Bookmark the permalink.